IP finance: Motorola Mobility: Has there been an impairment of goodwill in Google's acquisition of its patent portfolio? Motorola Mobility: Has there been an impairment of goodwill in Google's acquisition of its patent portfolio? When companies face a decline in the value of a certain asset, they may find it necessary to write down the goodwill value of that asset to reflect such impairment. One need look no further than such august companies as News Corp. and Tata Steel. Thus News Corp., in what was described as a "goodwill impair charge", recently announced a write-down in the value of its Australian and US publishing assets in the amount of $1.4 billion, here. As for Tata Steel, it announced in mid-May that it was taking a write-down of $1.6 billion largely in connection with the commercial challenges in connection with its takeover six years ago of Corus, a British steel maker, here. Technically, since goodwill is the excess paid for an asset over its book value, it can be argued that the write down of the goodwill is a mere bookkeeping technicality since it is in effect a non-cash loss. Perhaps. But such write downs by high visibility companies attract media attention. I thought of the issue of goodwill write-downs in reading a report about the most recent decision of the U.S. International Trade Commission (ITC) regarding the patent wars between Google and Microsoft, here. In particular, the ITC ruled that Microsoft's Xbox device did not infringe a patent belonging to the Google subsidiary, Motorola Mobility. 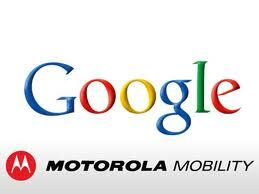 Initially, Google alleged infringement by Microsoft of five Motorola Mobility patents. Four of these patent claims were dropped (including two patents that were deemed essential to a standard and which Google choose not to continue to assert against Microsoft), leaving the one patent at issue in the current ITC decision. Readers will likely remember that, to great media fanfare, Google acquired the Microsoft Mobility patents in an amount described in excess of $12 billion,here. Later reports lowered the amount attributed to the patents. As reported on c/net on July 25, 2012, here, "[t]he search giant yesterday filed a document with the Securities and Exchange Commission (SEC) outlining how it valued its $12.4 billion (not $12.5 billion it originally reported) acquisition of Motorola Mobility. Google says that $2.9 billion of the purchase price accounted for Motorola's cash, while $730 million went to customer relationships and $670 million to other net assets.The largest percentage of Motorola's value, according to Google, was the $5.5 billion in "patents and developed technology." 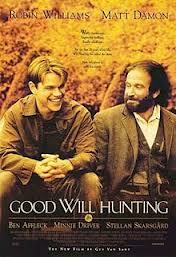 The remaining $2.6 billion went to goodwill, or the company's value above and beyond its assets." Either way, this is an extraordinary amount to pay for a patent portfolio. How was Google intending to benefit from this acquisition? Did the amounts paid represent, in whole or in part, a good-faith estimate of an income stream that Google hoped to generate from receipt of payment of patent royalties? (This rationale has been mentioned as the basis for the initial and ultimately widely over-optimistic valuation placed on the Kodak patent portfolio at the end of 2011). Or was the portfolio intended to provide Google with a ready arsenal of patents that it could threaten to use, or actually rely upon to extract a favourable cross-licensing arrangement (in that wonderful phrase taken from the Cold War, "mutually assured destruction"), should it be sued by a competitor? Or was the portfolio, or at least select patents within it, intended to provide offensive legal firepower, ideally serving as the basis for obtaining a court-ordered ban against sales of product by competitors? It appears, at least until now, that the third alternative has become front and central in the exploitation of the Motorola Mobility patent portfolio. If so, then I wonder what happens to the valuation of the patent portfolio, or at least those patents that form the basis for an infringement suit, when a court or administrative agency rules that no infringement has taken place. By analogy to the write-down of the goodwill of other corporate assets, does there come a time when a company acquiring a patent portfolio has to write down the goodwill value thereof? In particular, what is a company to do when it acquires a patent portfolio, on the basis of which the company then sues upon and expends significant sums in the maintenance of the law suit, ultimately to be rebuffed by the courts? Has there been a material impairment of goodwill that should be recognized (to extent that the accounting principles of the jurisdiction recognize goodwill in a patent in such circumstances)? Any readers who might have insights into how a company should properly value a patent portfolio, especially following an acquisition, and whether such valuation is subject to change based on the fate of the exploitation of the patents, are invited to share their insights. Fourth option: Google wanted to prevent the patents to fall in hands of competitors and bought them to preempt any potential patent war? As to you question: I think patents should be valued in accordance with their added value to the company. If a patent contributes a certain amount to the bottom line, either because of royalties or increased sales following an injunction awarded against competition, such value can be calculated in a relative simple way. With the patent portfolio being held for mainly defensive purposes, it may be a bit more difficult. However, one might be able to state that without the patents, sales would be 20% less.